After logging to CRA website for the first time, you will have to accept to the terms and conditions for using CRA website and Interactive Voice Response facility (IVR). 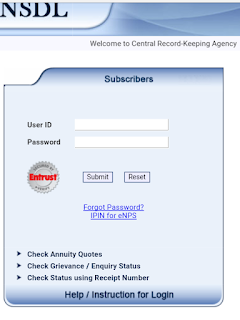 On acceptance of the terms and conditions, you will be directed to set your new password for using CRA website. You will also be set your Secret Question for the purpose of resetting your password, in the event you forget your password. The password you create should be alpha-numeric with at least one special character (!,@,#,$,%,^,&,_). The length of the password should be between 8 and 14 characters. 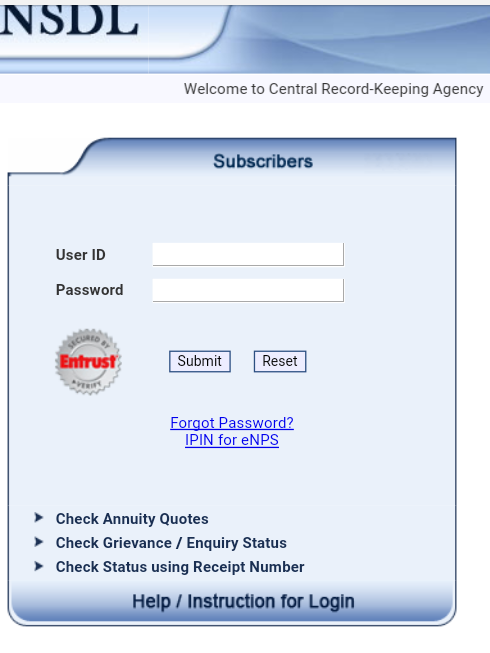 Access to CRA may be denied due to the following reasons:Incorrect User id providedIncorrect password provided - If you have forgotten your password, you may reset it by answering the secret question through 'Forgot Password' link or submit a request for a re-issue of I-Pin through your PAO/POP-SP in case the user is subscriber or to CRA in case the user is PAO/POP-SP. "As a safety measure to prevent unauthorised access, the account will be locked if the user enters incorrect password for five consecutive attempts. The user shall have an option to reset the password by answering the secret question even after the account is locked. In case the user is not able to remember the answer to the secret question and is unsuccessful in resetting the password, the user shall have to submit a request for reissue of I-Pin. Change your password after your first login.Memorise your password and destroy the I-Pin mailer. After login, do not use to "Back" and "Forward" button in your browser to navigate. For security purpose, the same has been disabled. Any attempt to use those buttons will result in a logout.